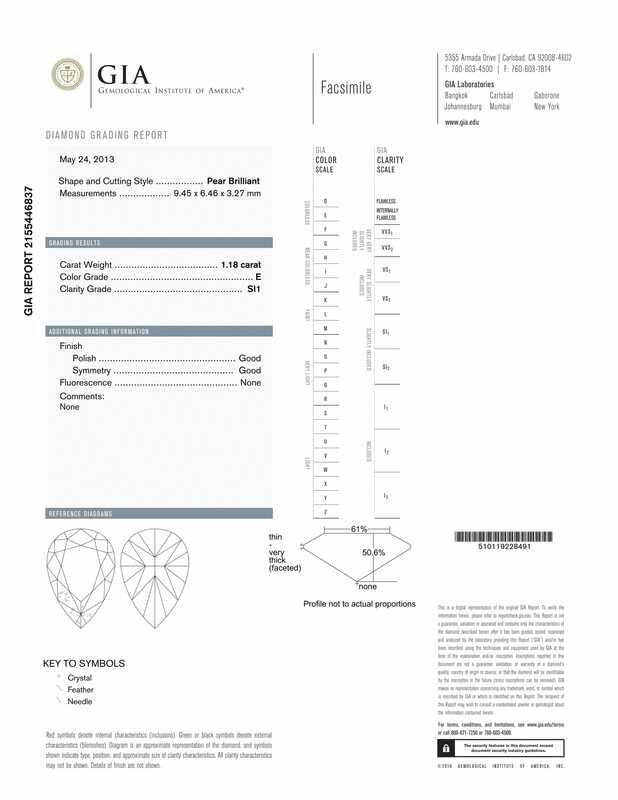 GIA certified pear shaped diamond 1.18 cts (E Color, SI1 Clarity) ring set in platinum. Size 7. GIA Certified Diamond ring - Pear shape 1.18 cts (E Color, SI1 Clarity) diamond set in a platinum setting with 2 tapered side baguette diamonds. Size 7. This GIA certified ring is currently size 7 and some items can be sized up or down, please ask! It weighs 9.2 pennyweights and is Platinum.